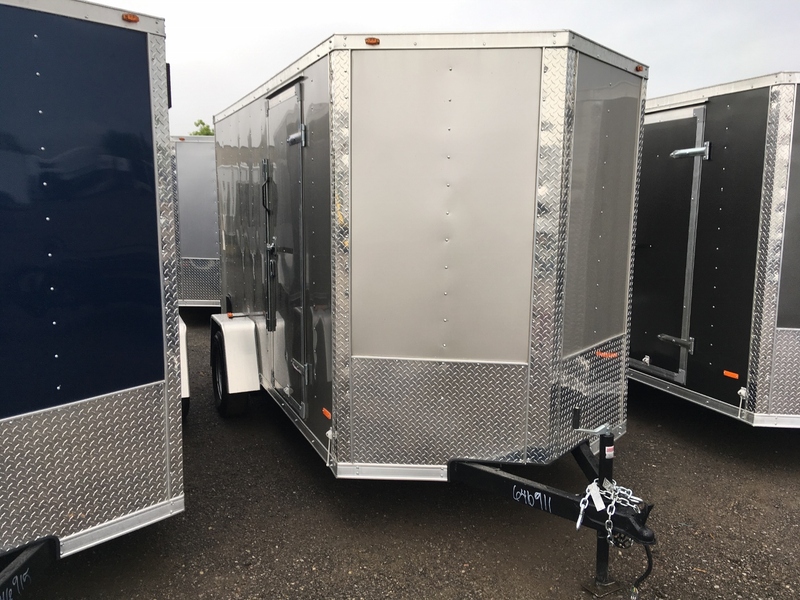 Packed with our exclusive Expressline features. 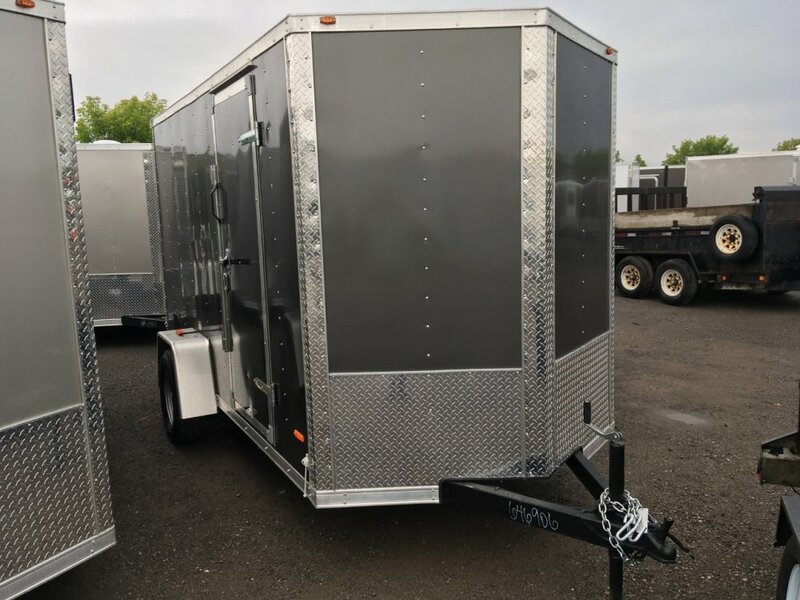 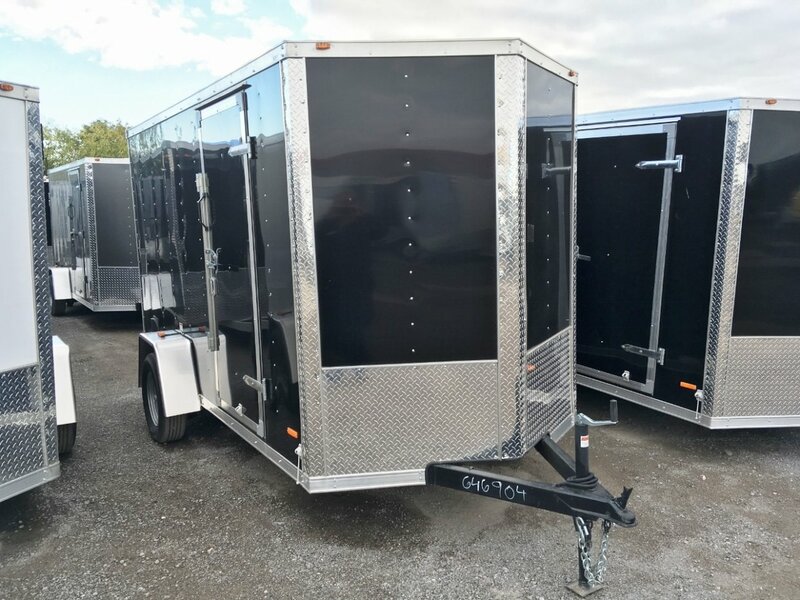 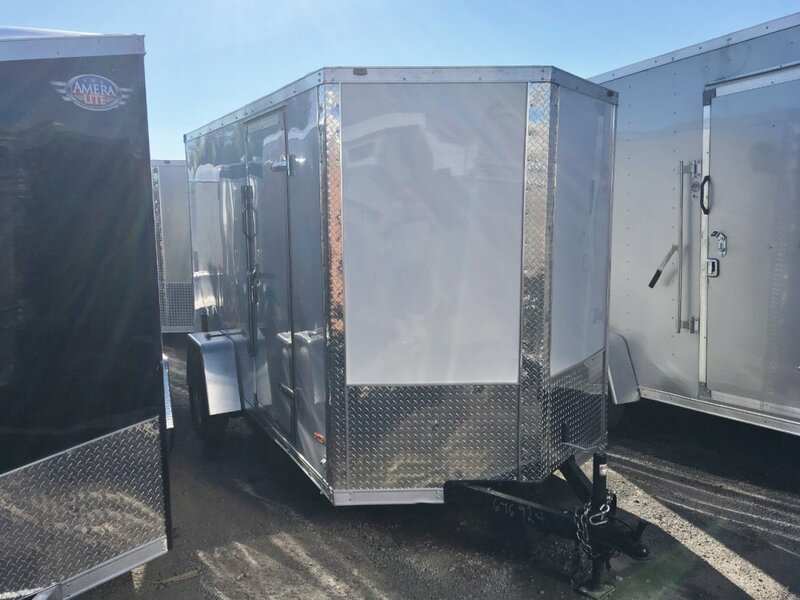 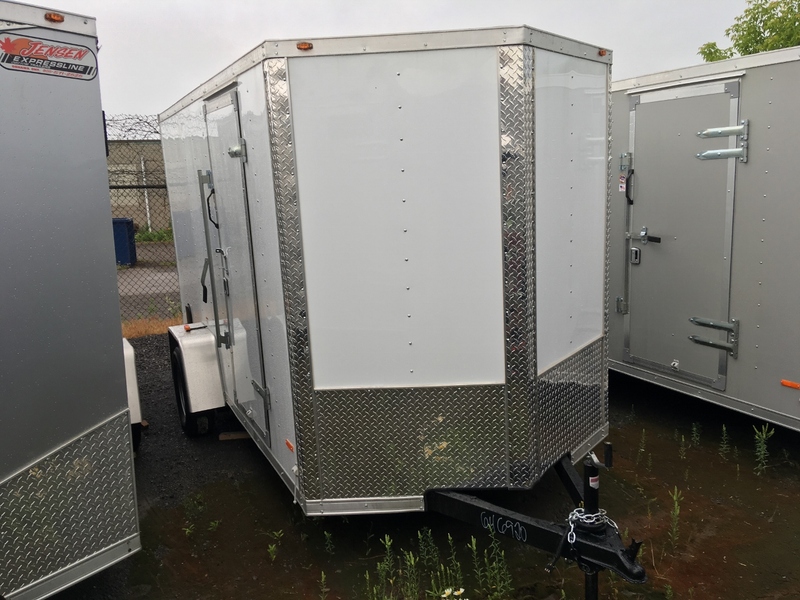 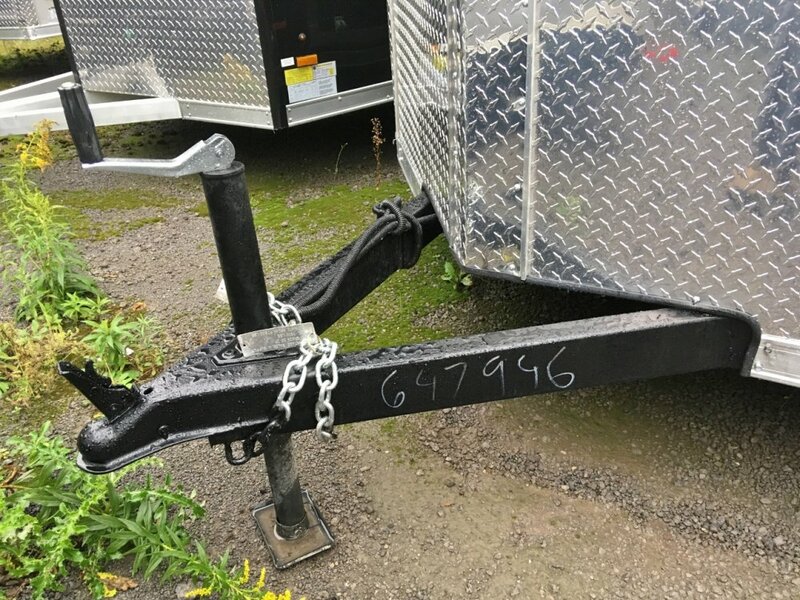 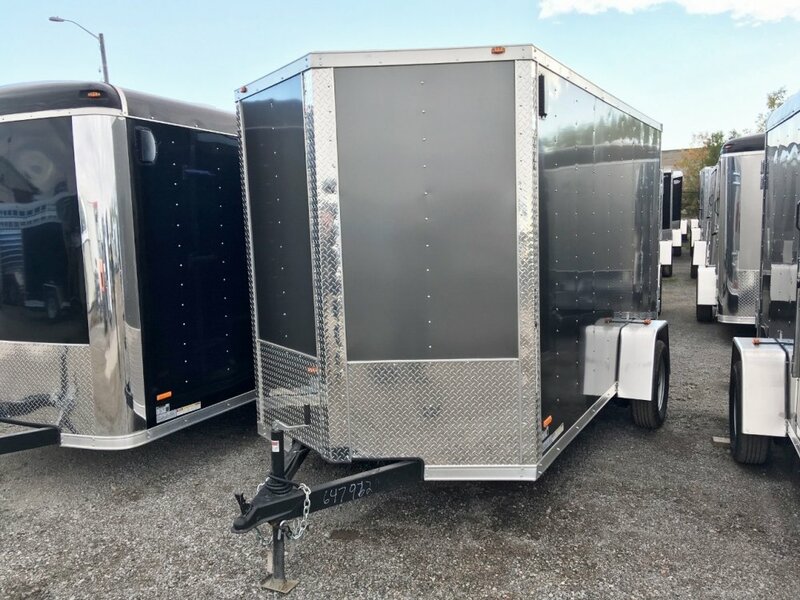 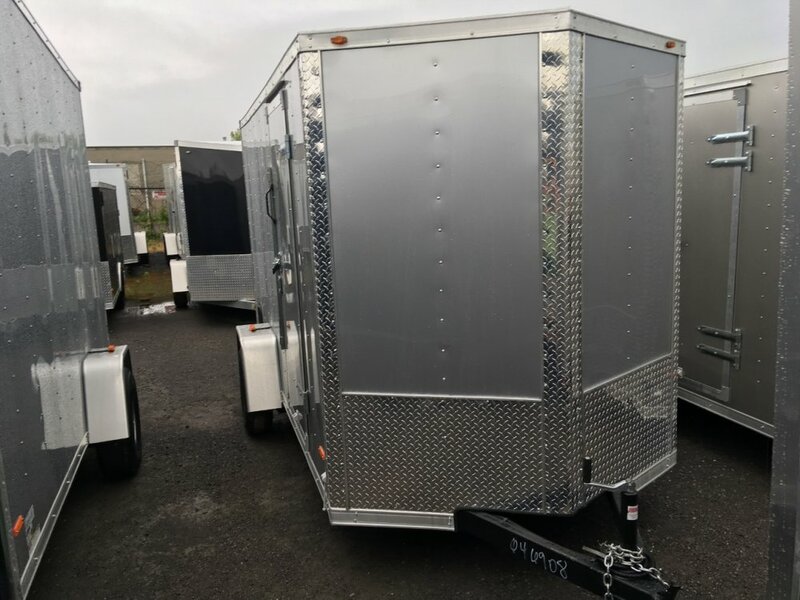 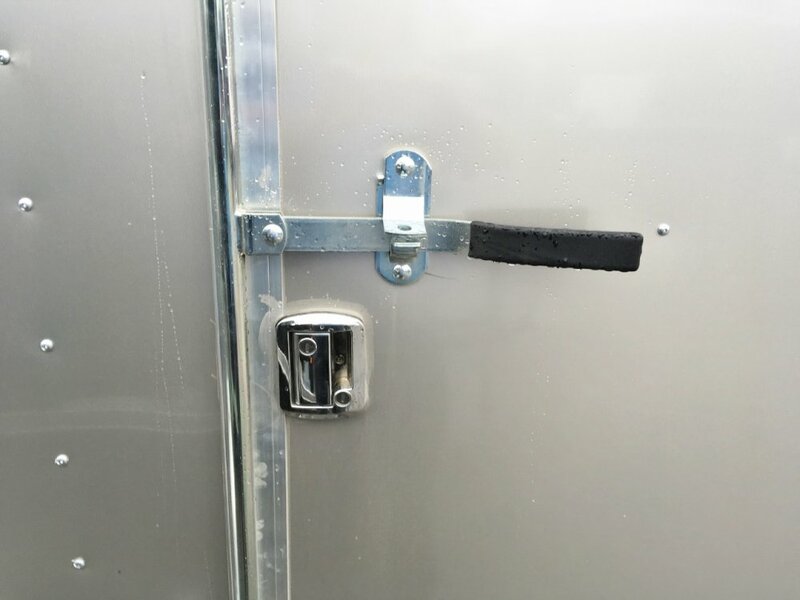 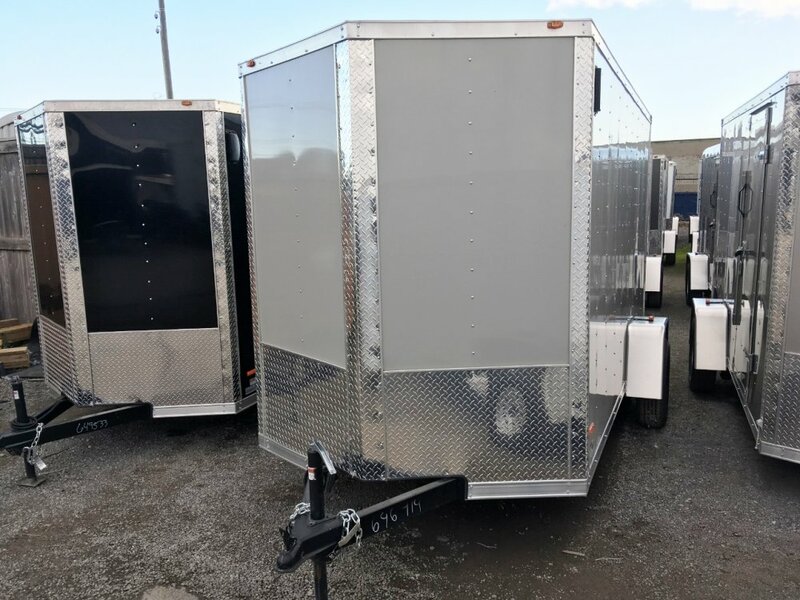 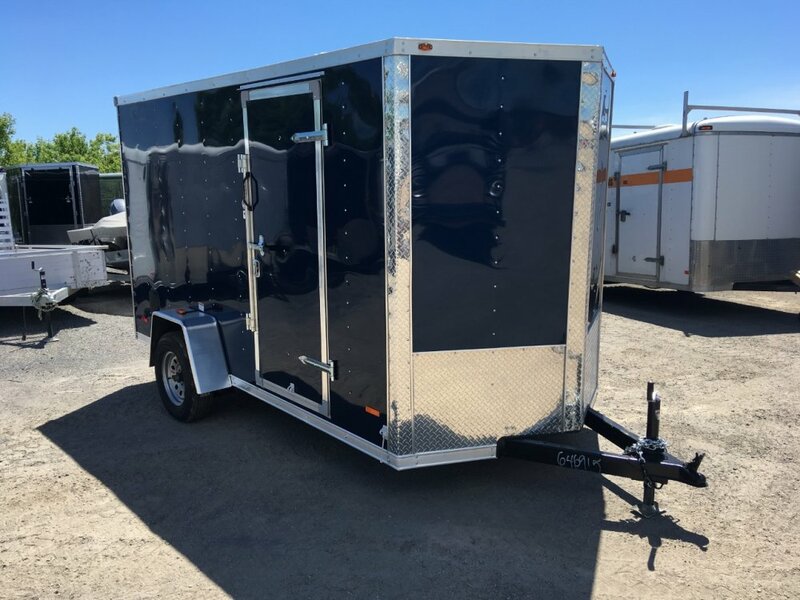 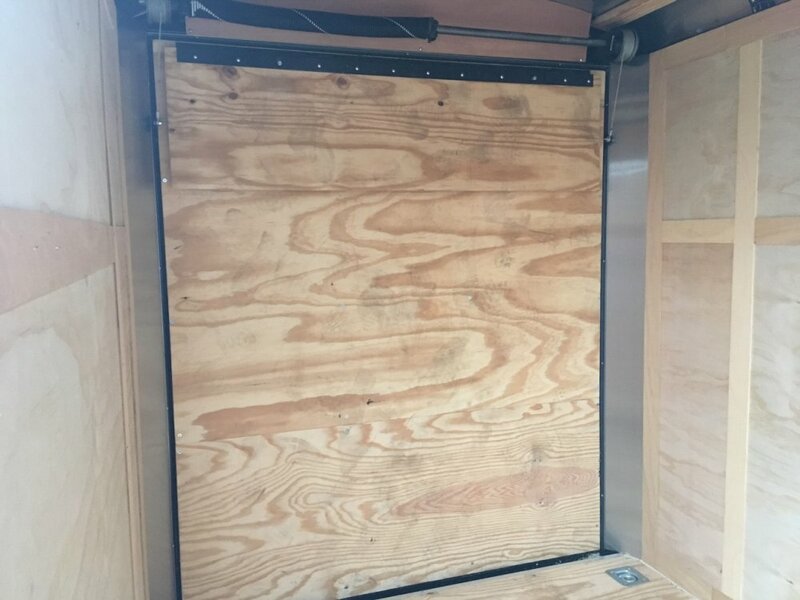 6'6" interior, 15" radial tires, 4" tongue and mainframe, 16" on center walls and floor, bar lock and RV lock side door, spring assisted ramp door with transition flap, D-rings, roof vent and wall vents, and much more. 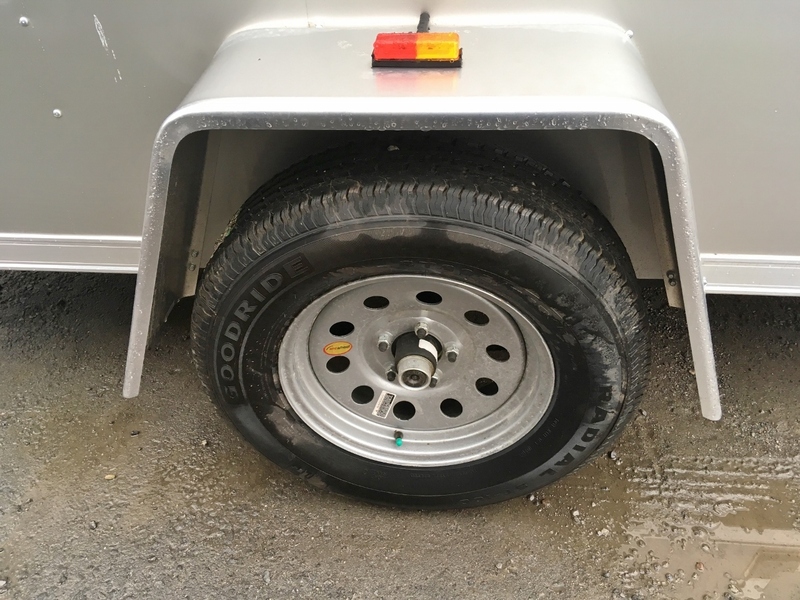 Currently available in a variety of colours including black, white, silver, pewter, charcoal, champagne, dove grey. Stk# 646924, $4895 is white with screw less sides.